OTTAWA February 1, 2018 — Canada Mortgage and Housing Corporation (CMHC) has released the 2018 Prospective Home Buyer Survey (#PHBS2018). This survey, the first of its kind for CMHC, explores the dynamics of home buying intentions for three groups of future homebuyers, including First-Time Buyers, Previous Owners and Current Owners, and provides a comprehensive review of overall awareness and understanding of the home buying process. Improved accessibility (less physical obstacles and barriers) and investment opportunity were noted as top motivators across all groups. Changes to mortgage regulations and concerns about possible future interest rate increases were not among the top motivators for prospective home buyers in 2017. 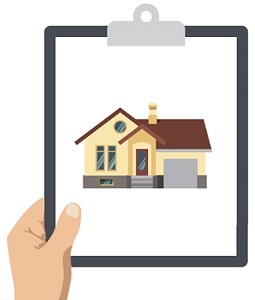 Over four-in-ten First-Time Buyers and Previous Owners say they would delay their home purchase if they were not able to find their ideal home, with a fairly similar proportion saying they would be willing to compromise on the size of the home and location. An existing move-in-ready home is the top choice for all groups of prospective home buyers, followed by a newly constructed home, noted by approximately one-fifth of First-Time Buyers and Previous Owners. Among all groups, the two most common actions completed one to two years prior to the purchase of a home are saving for a down payment and determining what type of home to buy. About one-in-four prospective home buyers stated that they would be very likely to consider delaying their purchase in the event of an increase in interest rates. The majority of future home buyers intend to obtain a mortgage to finance their home purchase, with First-Time Buyers showing higher incidence compared to Previous Owners and Current Owners. Across all groups of future home buyers, more than six-in-ten say they are likely to have a financial buffer in case their expenses change in the future. In October 2017, CMHC surveyed 2,507 prospective home buyers online. Respondents were all prime household decision-makers who intend to purchase a new home within the next two years, including 1,501 First-Time Buyers, 506 current owners, and 500 previous owners. Similar to the annual Mortgage Consumer Survey, the Prospective Home Buyers Survey is intended as an education tool for mortgage professionals and to support mortgage literacy among Canadian home buyers and homeowners. Additional survey findings are available here. CMHC helps Canadians meet their housing needs. As Canada’s authority on housing, we contribute to the stability of the housing market and financial system, provide support for Canadians in housing need, and offer objective housing research and advice to Canadian governments, consumers and the housing industry. Prudent risk management, strong corporate governance and transparency are cornerstones of our operations.